Santa Sidra is a crisp, refreshing, naturally gluten-free, award-winning hard cider made from locally-sourced, fresh-pressed apples. The cidery, which opened in July 2014, produces Seca (a dry cider) and Ligeramaente Dulce (a slightly sweeter version) on-site in Santa Fe. The ciders can be purchased throughout New Mexico at restaurants and stores, as well as online at www.santasidra.com. Santa Fe Honey Salon & Farm Shop is a place to discover the spectrum of tastes, aromas and benefits of raw, unfiltered, extra-virgin honey. The shop, which opened in September 2014, produces a variety of products using honey, ranging from herbal and handcrafted soaps to hand poured candles and beeswax blocks. The shop also sells 19 varieties of local and exotic honey, all of which is “extra virgin, unfiltered and raw,” meaning it is produced without any adulteration, additives or processing. Products can be purchased at the Salon or online at www.santafehoney.com. Barrio Brinery opened in November 2014 and specializes in bringing fine fermented foods to Santa Fe. The pickled products stand-out due to their unusual fermentation in salt brine – many grocery store-bought pickles are done in vinegar. All products are hand-crafted in small batches and use the highest level of quality ingredients. House specialties include hot and spicy fermented pickles and half-sour pickles, which have a shorter stay in the brine and still offer a crisp texture. To learn more about the store, visit www.barriobrinery.com. Cheesemongers of Santa Fe, which opened its doors in November 2014, features a cut-to-order curated selection of over 100 domestic and international cheeses as well as cured meats, antipasti and an assortment of grocery products. Customers are able to work one-on-one with mongers to sample and learn about the products and best ways to cook and serve them as well as attend regular cheese classes, tastings and cooking demonstrations. For more information, visit www.cheesemongersofsantafe.com. Modern General is a hybrid retail/food & beverage experience that will be opening in early 2015 by Vinaigrette Owner/Chef Erin Wade. Products for the garden and kitchen will be sold, in addition to groceries. All products will be eco-friendly. The Modern General Café will service coffee, teas, freshly made organic juices and baked goods for guests to enjoy while shopping or relaxing in MG’s Library. For more information, visit www.facebook.com/moderngeneralsantafe. Hatchup Ketchup is gourmet, limited batch ketchup with a signature spicy twist – flame roasted green chile grown in Hatch. Offered in heat levels ranging from mild to extra hot, Hatchup Ketchup makes for an excellent topping on burgers, fries, hotdogs, eggs and even in Bloody Marys. Hatchup Ketchup products are vegan, gluten free, dairy free and do not contain high fructose corn syrup or any genetically modified organisms. Hatchup Ketchup is currently only available for purchase online. For more information, visit www.hatchup.com. In an age when every cell phone can take a respectable picture, this exhibit explores a historical art form that exemplifies thoroughly contemporary ideals: Do-it-yourself handmade technology with a dash of steampunk style. Pinhole photography has roots in the ancient discovery of the camera obscura, and has enchanted artists from the 1880s through today. The museum is open daily from 10:00 a.m. – 5:00 p.m. and tickets cost $9.00 for non-residents and $6.00 for New Mexico residents. For more information, visit www.nmhistorymuseum.org. This is a survey of more than forty remarkable photographs by artist Edward Ranney, whose work ranges from the southern Andes of Peru to the Galisteo basin. Ranney is a longtime New Mexico resident who has extensively explored the cultural landscape of ancient peoples as well as contemporary human interventions such as artist Charles Ross’ immense Star Axis project near Las Vegas, New Mexico. The museum is open Tuesday – Sunday 10:00 a.m. – 5:00 p.m. Tickets are $9.00 for non-residents and $6.00 for New Mexico residents. For more information, visitwww.nmartmuseum.org. Dark Light is the first traveling exhibition for this groundbreaking Navajo (Diné) artist, Christine Nofchissey McHorse. McHorse is a first-generation potter considered among the most innovative artists working today creating vessel-based art that is undecorated and abstract, with formal qualities indebted more to modern sculpture than to Southwestern culture. The museum is open Monday, Wednesday, Saturday and Sunday – hours vary. Tickets are $10.00 for adults and $5.00 for seniors, students and New Mexico residents. For more information, visit www.iaia.edu/museum. Visitors can investigate how the regional identity of New Mexico inspired a new direction in the modernism of multiple artists including Georgia O’Keeffe, Thomas Hart Benton, Robert Henri, Edward Hopper, John Marin, Marsden Hartley, and others. The museum is open daily from 10:00 a.m. – 5:00 p.m. and until 7:00 p.m. on Fridays. General admission tickets are $12.00 and New Mexico residents tickets are $9.00. Students 17 and under are free. For more information, visit www.okeeffemuseum.org. On view will be 32 works of art spanning Bradley’s career, including paintings, mixed media works, and bronze sculptures. Bradley’s artworks are saturated with a powerful Native voice and evocative visual descriptions of Indian experience that depict historical, social, and political truths, personal narrative, and cultural critique. The museum is open 10:00 a.m. – 5:00 p.m. Tuesday through Sunday. Tickets are $9.00 and $6.00 for New Mexico residents. Children under 16 are free. For more information, visit www.indianartsandculture.org. All rooms are now solar powered as a partnership with Stay.Solar takes advantage of proprietary technology to bring solar generated energy to each guest room. 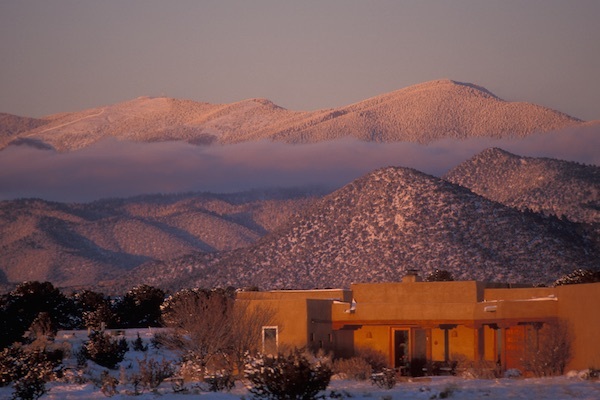 Hotel Santa Fe is the first hotel to convert to all-solar power with Stay.Solar. Amaya restaurant is now located in a new glass-surrounded patio, which is able to open to the gardens in warm weather and able to be closed when it’s chilly. With this move, the Lobby Lounge is also being remodeled and redecorated with new furniture. A new lobby floor is being installed using mesquite to replace the original Saltillo tile, providing a more attractive and quieter upgrade. New, high end showers are replacing the property’s original bath tubs throughout the hotel and new washers and dryers added in the laundry will mean softer towels and sheets for guests. 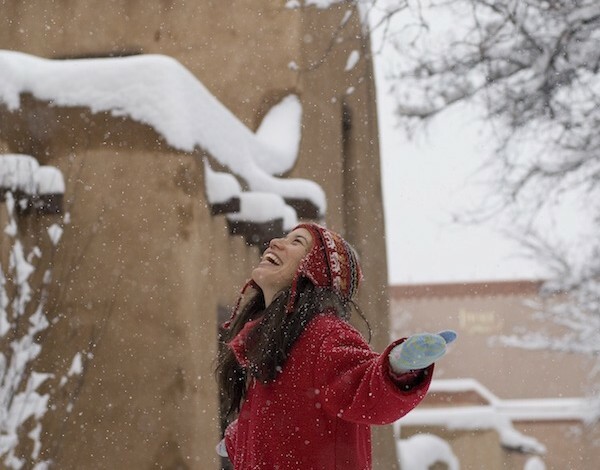 For more information, visit www.hotelsantafe.com. Chef Novak joined the team at Ojo Caliente in July 2014 following his role as Chef du Cuisine at Geronimo, one of Santa Fe’s most prestigious restaurants. His focus at the Artesian will include refreshing the menu to include additional seasonal variations of both classic dishes and New Mexican cuisine. Chef Novak will also work closely with Ojo’s garden and farm managers to continue evolving its rustic farm-to-table initiative. For more information, visit www.ojospa.com. Bali at Jimbaran Bay, Biorhythm: Restoring Waters, 2.5 hours, $340 For more information, visit www.fourseasons.com/santafe.